Sailing Center Chesapeake will host a special Junior Varsity Championship Regatta on Sunday, April 27, 2014 at Tall Timber’s Marina, on the dock area just outside the Reluctant Navigator Restaurant. SCC is teaming up with The National Safe Boating Council at this year’s JV Championship to promote water safety and awareness. We are inviting everyone in the community to participate in this event by showing up at Tall Timber’s Marina, wearing their Personal Floatation Devices. 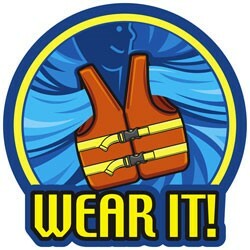 Join us as we participate and promote the National Safe Boating Council’s very worthy program. We even welcome leashed dogs who might have a life jacket as part of their wardrobe to participate in our event! A professional photographer will be on hand to capture a group photograph at 9:30 am, just before the skipper’s meeting, and will be available for several hours to take multiple photographs during the day’s events. About 100 competitive high-school aged sailors will visit St. Mary’s County along with their coaches and families for this JV Championship Regatta. The visiting students and tourists are traveling from schools throughout the D.C., Annapolis, and Baltimore areas. Locally, our Junior Varsity sailing teams from Great Mills High School and Leonardtown High School will be participating in this competition as well. 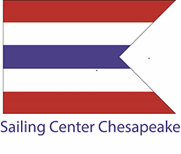 Sailing Center Chesapeake offers our heartfelt thanks to Rick Meatyard, owner of Tall Timber’s Marina, for making our high school program and this special Regatta possible. The Reluctant Navigator will extend the hours and offerings of its popular Sunday Brunch to accommodate our visiting sailors and spectators. If you haven’t visited the Reluctant Navigator yet, be prepared for a delicious meal; Rick Meatyard has been scrambling our eggs for more than 30 years and it simply gets better each time. Please plan to enjoy a delicious breakfast as you watch a group of talented high school students hoist their main sails and demonstrate their considerable skills!